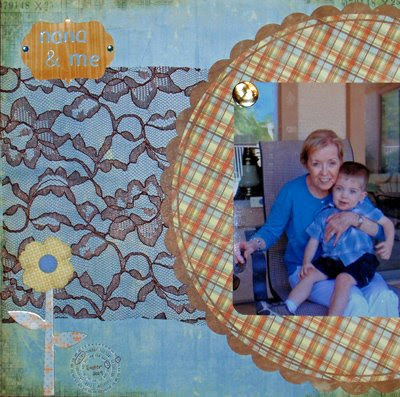 I have been having so much fun with the Color Me Daisy kits this month. Since I am doing the LOAD (Layout of the Day) challenge in May I have been scrapping at least a page a day since Friday. I have been keeping them simple, and loving having all these kits to work with. I finally broke out the Captivating kit tonight and made this LO from Easter with my Mom and Nicholas. I have lots more to share just need a few more minutes to do it. I like how you used that shaped paper and that cute little flower!! Great layout!